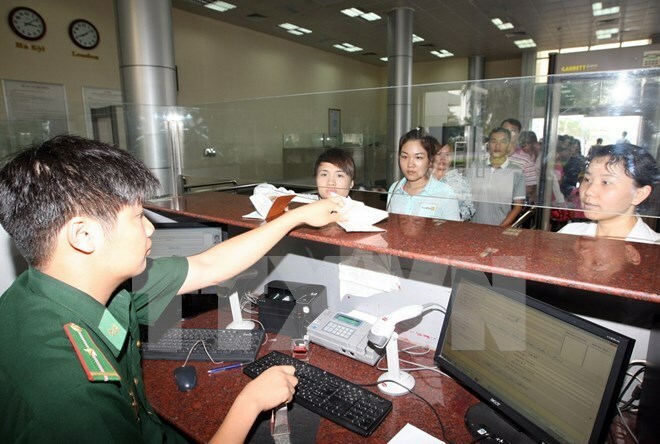 Hanoi (VNA) – The Vietnam National Administration of Tourism (VNAT) has requested Khanh Hoa province improve tourism services provided for Chinese nationals, following the emergence of illegal business activities by some Chinese tourists. The VNAT said in a document sent to the provincial People’s Committee that the number of Chinese tourists to central provinces, especially Khanh Hoa, has risen dramatically recently. Media outlets have reported some Chinese tourists entering Vietnam to conduct illegal business activities such as providing low-quality tourism services or Chinese goods. Such incidents are increasing and becoming more complex and could seriously affect local tourism, the VNAT said. It urged the People’s Committee and local agencies to increase the dissemination of tourism regulations to travel companies, hotels and tour guides. Inspections must be enhanced, particularly on travel agents suspected of running illicit operations. Authorities must also punish Vietnamese companies or people colluding with foreigners in committing crimes. The VNAT also asked for improved tourism services to better serve actual tourists, including those from China. By the end of May, Khanh Hoa welcomed nearly 1.5 million domestic and foreign tourists and fetched nearly 2.76 trillion VND (123 million USD) in tourism revenue, a year-on-year increase of 21 percent.